Saudade – “the clear-cut verbal symbol,” the narrator’s dream, the narrative called “Facing Saudade,” and threshold experience – is neither predetermined nor predictable. Saudade exists in an imperfect, unsecured present. Evolving, contingent and imprecise, porous and pregnant with possibilities, saudadehas no sure harbor, no metaphysical anchorage, no sureties and no certainties. Facing Saudade exhorts us to let go of the handrail … to renounce our moorings …and to enter the vertiginous threshold. Saudade, a word for which there is no English equivlant, yet is felt by humans everywhere. Facing Saudade, an idea borne from a dream and birthed in the author's experience of living with and caring for a young woman with asperger syndrome This book not only allows a striking, personal reflection of absence and longing, but also exacts an acute analysis of saudade as a word, a history, a reality, allowing the reader and student to experience philosophy in its ontological roots as the study of one's - and all's - life. 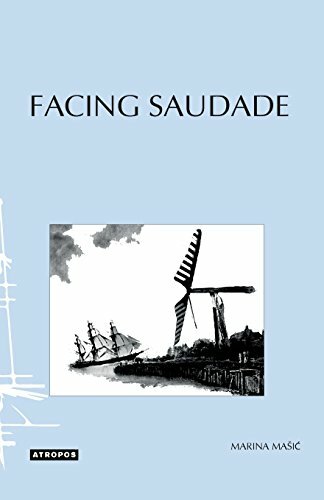 Facing Saudade guides the reader to confront their own saudade by bridging the gap to the inexplicable with compassionate exploration, striking analysis and, ultimately, acceptance of the melancholic call of our very existence.